A robust data security solution is worth all you can’t afford to lose. Leading developers in aerospace, defense, medical, and industrial markets are launching innovative and secure new products leveraging cost-effective open source solutions. They know there is an alternative to costly proprietary systems, and they are protecting their IP and reputation with engineering guidance from DornerWorks. The seL4 microkernel is a cost-effective, open source option that delivers software security backed by mathematical proof on verified hardware platforms. Supported by a thriving community of open source development teams, including engineers from DornerWorks, the source code has been made available for download by Data61. Robert VanVossen, a DornerWorks engineer who led the seL4 development team to win a SBIR contract from the US Navy, has also recently published a number of useful and important implementations to the open source seL4 community. These features, as part of a project funded by the Ground Vehicle Systems Center (formerly TARDEC), support seL4 (v8.0) implementations, and are complementary to Data61’s ARMv8 virtualization that supports the NVIDIA Jetson TX1. DornerWorks is working with Data61 to merge these two systems for the most current version of seL4. Data security has never been more important, and seL4 is already providing a foundation for that security in some of the US Armed Forces’ most innovative projects. Supported by a community of cybersecurity engineers, the open source seL4 microkernel is a cost-effective and robust solution for any company that wants to improve its security story, and protect the data of its clients. With guidance from the DornerWorks engineers who are actively contributing to the seL4 ecosystem, building and applying the formal proof of the seL4 microkernel to new or existing products is simple. Contact DornerWorks today to set up a free consultation and learn how seL4 can keep you two steps ahead of the competition. 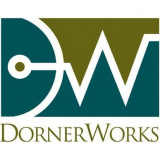 DornerWorks provides technology engineering so you can focus on your customers. With embedded electronics, FPGA, and software engineering expertise, we accelerate your product development and lower risk for adopting advanced technologies. One of our specialties is embedded virtualization technology, including Virtuosity hypervisor and seL4 secure microkernel-based solutions. For more information, visit DornerWorks.com.